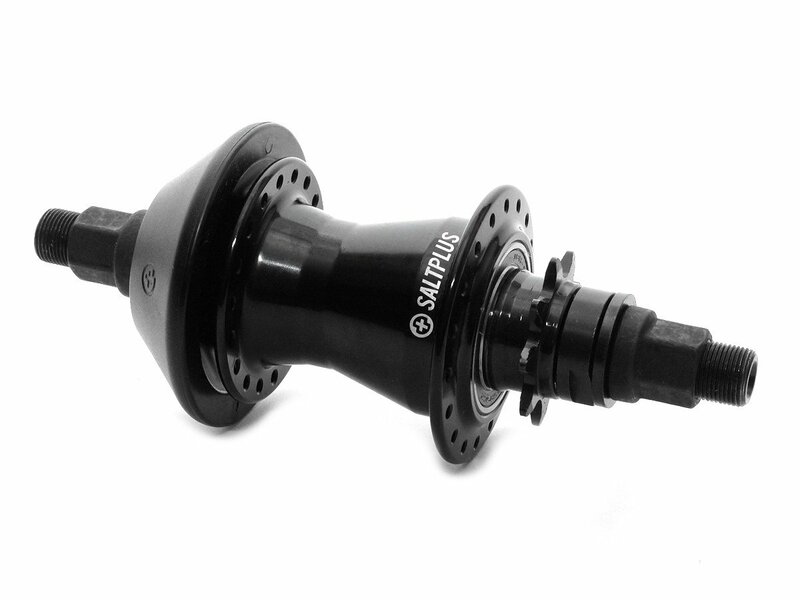 The SaltPlus "Vertex" Freecoaster is a freecoaster of the new generation with a custom designed driver and clutch system that offers very high stability, but also provides reliability and flexible features. 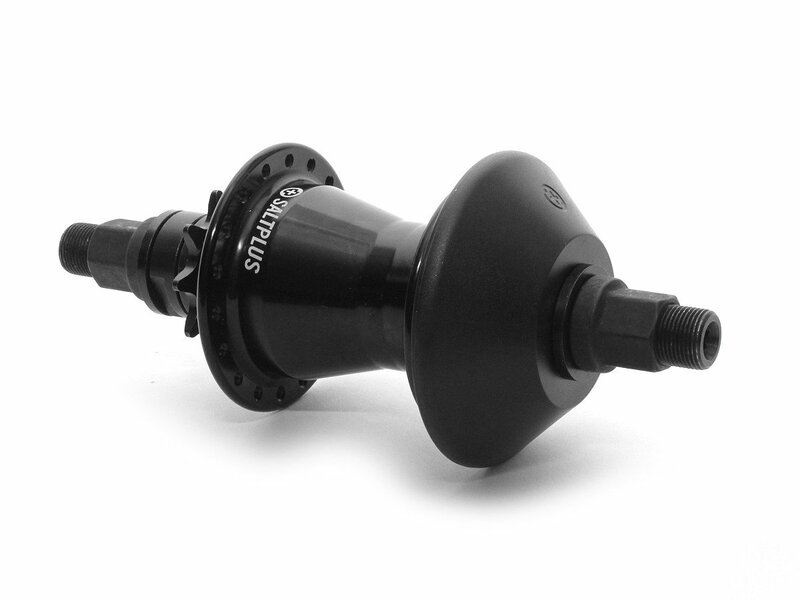 The sturdy 14mm CrMo hollow axle is equipped with cones, which allows an easy installation of the supplied Salt Nylon Non Drive Side Hubguard. 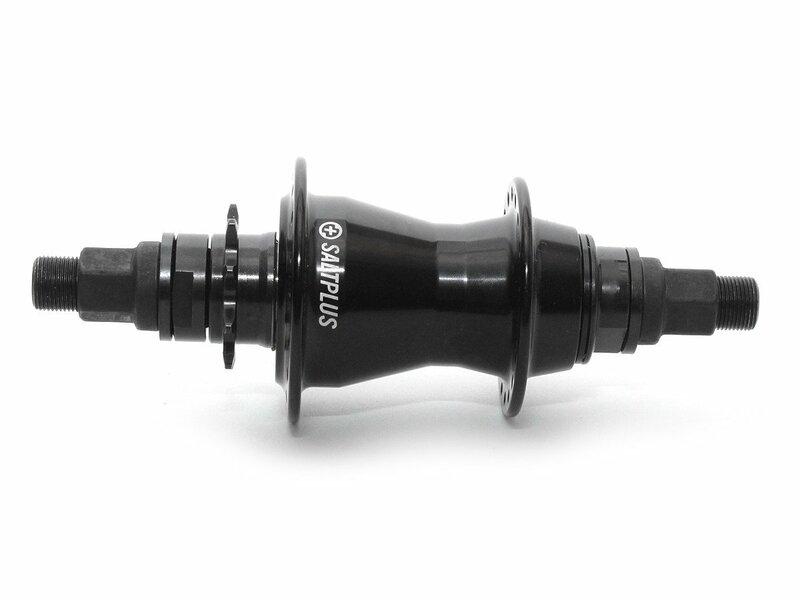 The Gap of the SaltPlus "Vertex" Freecoaster can be variably adjusted by adding or removing gap washers. 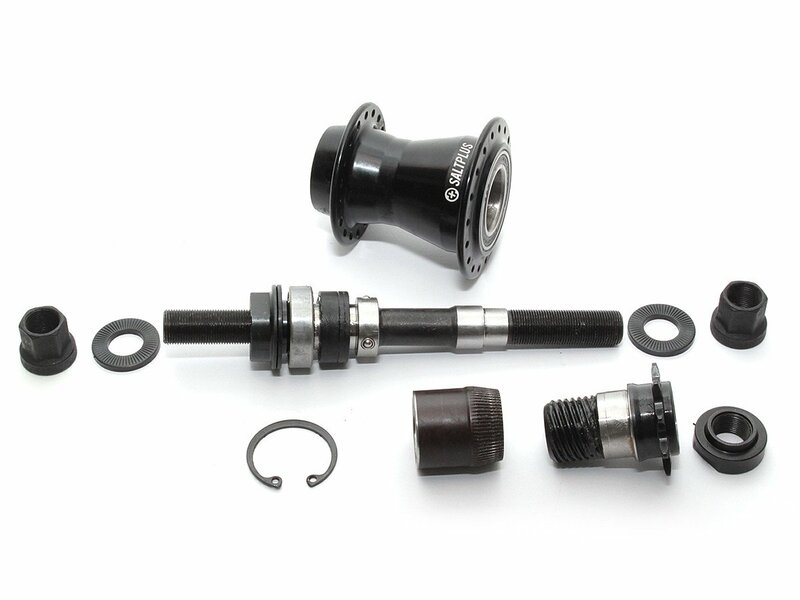 For this the driver, the axle and the non drive side bearing must be removed before.